H. Moser & Cie.’s fumé dials have become a key design feature of the brand, making them highly recognizable to those who know the brand, while encouraging curiosity from those who don’t. 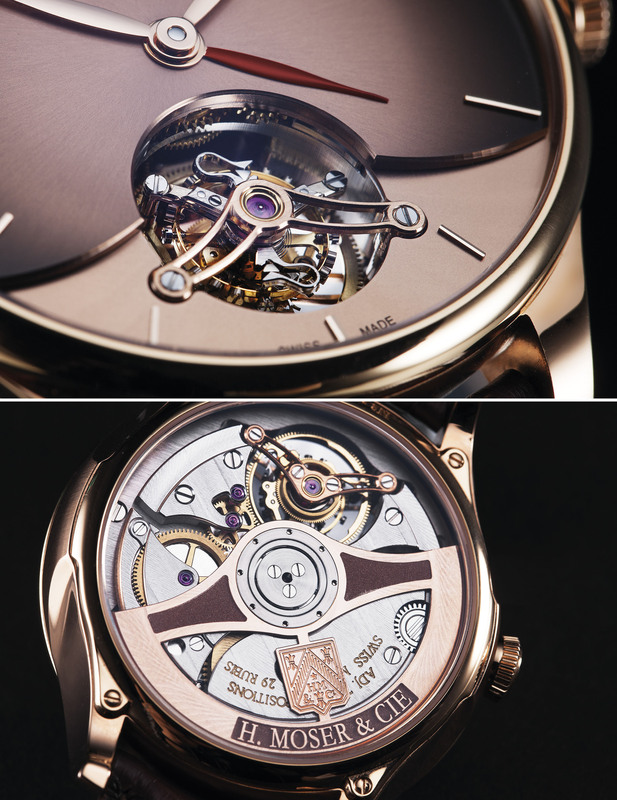 H. Moser & Cie. Venturer Tourbillon Dual Time in red gold case and brown hand-stitched alligator strap. Dark gray and brown glen-plaid wool single-breasted sport coat, dark grey wool waist-coat, and dark gray wool trousers, all Ermenegildo Zegna Couture; white cotton shirt, Raoul. Grey silk knit tie, silver collar bar, gold tie bar, and white silk cotton square, all property of Revolution. 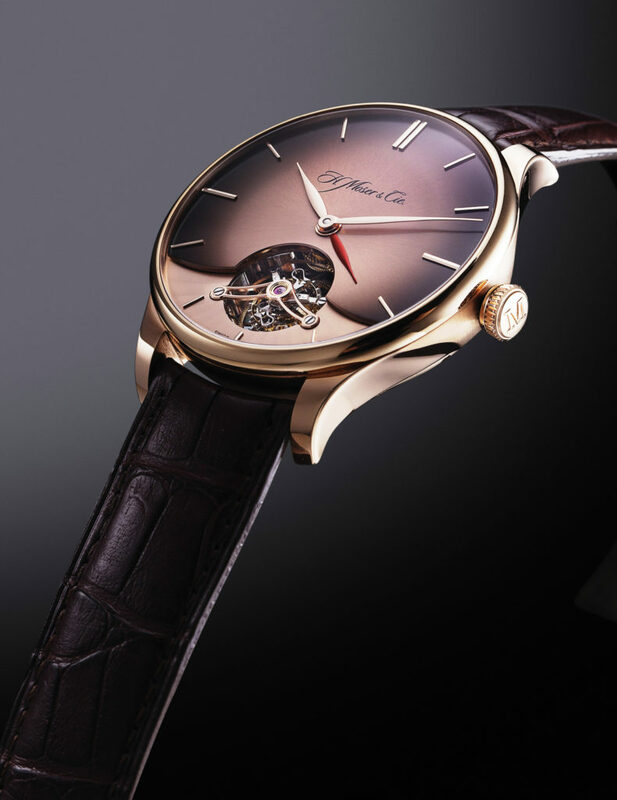 H. Moser & Cie. Venturer Small Seconds in red gold case and brown hand-stitched alligator strap. Plum single-breasted wool sport coat, Hugo Boss; grey and white large windowpane-check wool trousers, Cifonelli. White cotton-silk roll-neck pullover, white cotton pocket square, both property of Revolution. 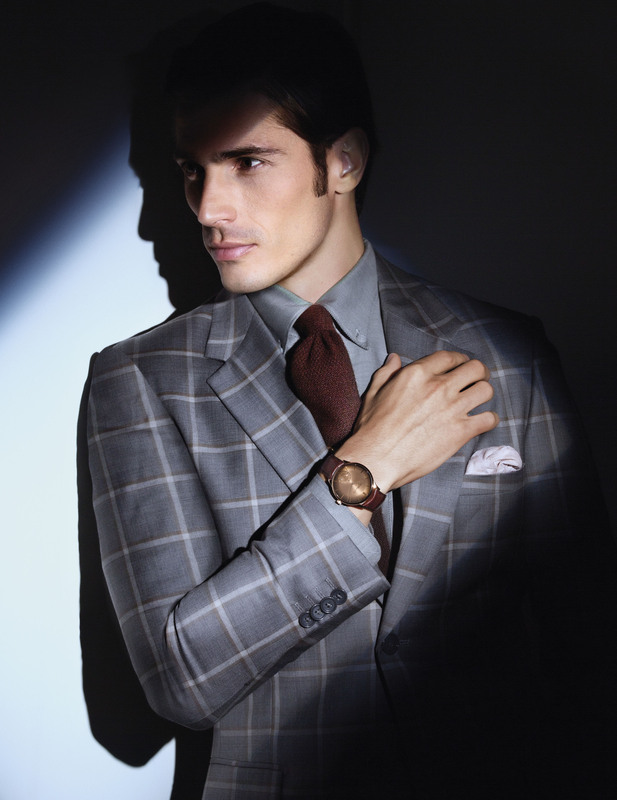 Grey, white and brown large windowpane-check single-breasted sport coat, Raoul; grey cotton button-down shirt, Ermenegildo Zegna Couture; brown wool knit tie, Hugo Boss. Tan cotton pocket square, property of Revolution. 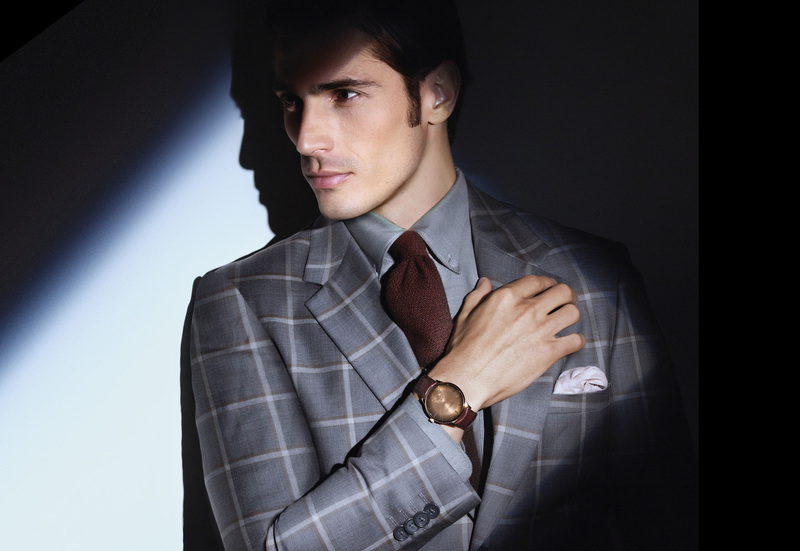 Grey small-scale houndstooth single-breasted wool sport coat, and grey small-scale houndstooth single-breasted wool waist-coat, both Camps de Luca; dark grey small-scale houndstooth silk tie, Hugo Boss. 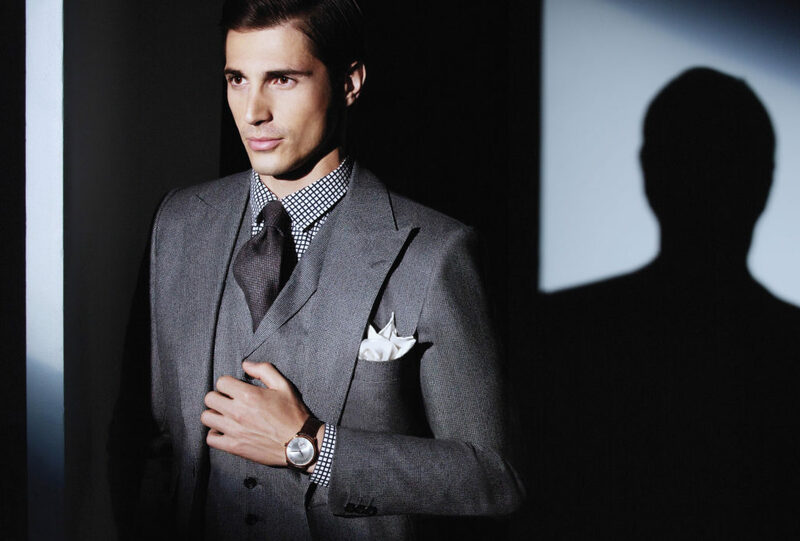 White and black check cotton shirt, Gucci; white silk pocket square, both property of Revolution.